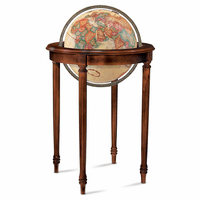 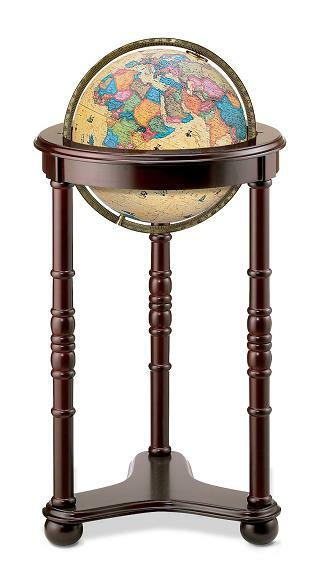 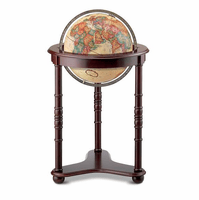 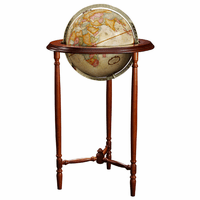 The Lancaster globe is a 16' diameter metallic globe, with antiqued parchment white ocean background, set in a dark cherry finish solid wood floor stand.The globe is illuminated from within by a light bulb, and shows the beautiful artistry of muted colors that delineate borders of each country. 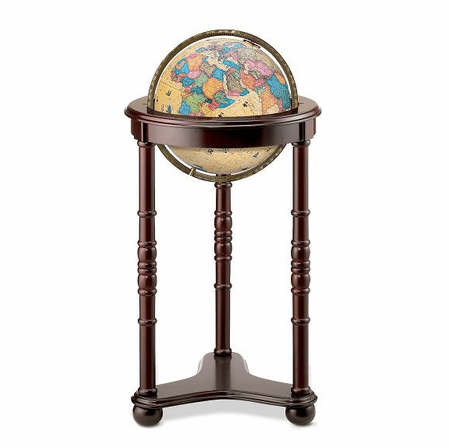 The globe has a metal die-cast meridian that is attached to the stand and allows the globe to spin. 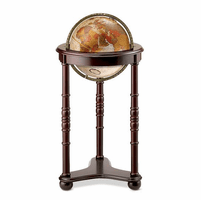 The stand has 3 carved spindle legs on a platform with ball feet.